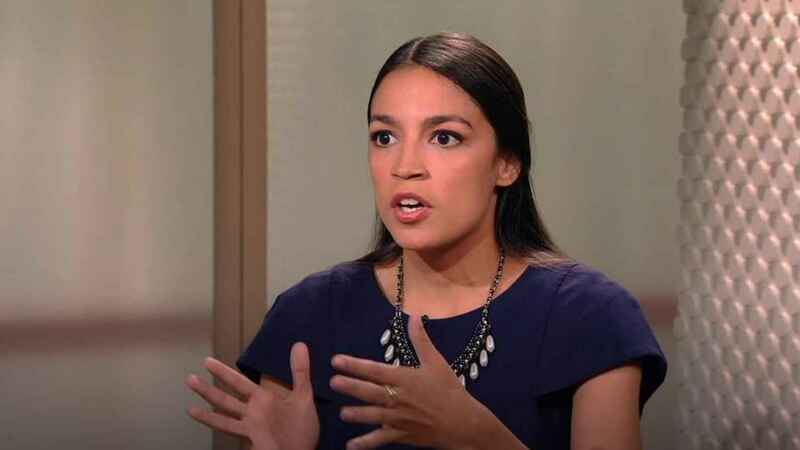 Once again the outspoken and ludicrous, arrogant, immature, Ocasio Cortez spouts off with her mouth on her Green New Deal which is so outlandish that it sounds like someone on drugs in their wildest imaginations yet her fellow Dems go right along with her like she’s some messiah spouting futuristic truths that can be worked out with a snap of a finger and she wants it all done in 10 years. When asked once how would you pay for it she responded, “Just pay for it like everything else”. She also suggested taxing the rich up to 70-90% without thinking about the consequences that would cause. Democratic New York Rep. Alexandria Ocasio-Cortez, who announced a sweeping “Green New Deal” on Thursday that promises to render air travel obsolete, get rid of flatulent cows and ensure economic security for everyone in less than a decade. The Green New Deal which Ocasio-Cortez put forth included a series of outrageous claims. The most astounding ones of all cited providing economic aid to individuals who are “unwilling to work,” reconstructing all buildings in the United States, and doing away with air travel. Additionally, the release referenced “farting cows” and took a considerable stance against nuclear power. Suffice it to say, the Green New Deal release was a complete and utter mess. At some point, the staff who works for Ocasio-Cortez realized this and removed the release from her webpage. Ocasio-Cortez is infamous for her gaffes and silly statements which loudly evidence her inexperience and lack of qualifications to serve in Congress. This imbecile wants to get rid of farting cows as part of her green deal and every person has a job with security, medical leave and vacations among other very juvenile ideas like doing away with gas cars and everyone has an electric car with charging stations everywhere. If we are building enough high-speed rail to make air travel “unnecessary,” we would, of course, need this mythical railway system primarily built across the ocean. There is about five thousand miles separating California from Japan. This railroad would need to span across that entire stretch of the Pacific, which is 13,000 feet deep on average. Pressed on the plausibility of the Green New Deal by Anderson Cooper on “60 Minutes,” Ocasio-Cortez said we must pursue change we don’t conceive as possible.” The Green New Deal certainly meets that standard. It’s the perfect program for a movement that has no idea of how to make means meet ends and doesn’t even care to try. The architects of the Green New Deal apparently believe once you have lost touch with reality with one proposal you might as well pile on as many wild-eyed schemes as possible. 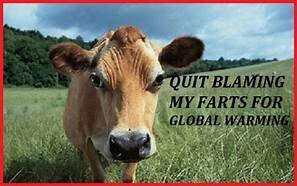 Alexandria Ocasio Cortez might want to take a look at this parody on Global Warming and cow farts by Ray Stevens.